AlgoComputing is custom software development company expert in development, customization and integration of complex enterprise-level solutions, advanced web and mobile applications offering a well-balanced blend of technology skills, domain knowledge, hands-on experience, effective methodology and passion for IT. We serve the domains of hospitality, healthcare, media & entertainment, education, manufacturing, online retail, lifestyle and other service establishments. Our global software outsourcing model ensure we deliver maximum targeted result to you. We serve clientele across the globe with offices in Canada and Development Center in India. We develop software applications and have strong expertise in Java, PHP, .NET, WCF, JQuery, CSS3, HTML5 etc. All mobile technologies including iOS, Android, Windows, Cross Platform and Custom Mobile apps. Take your app ideas to a new level. AlgoComputing takes care of tedious Software Testing and QA process for you.Put your product through multitude of rigorous and identify even the most elusive bugs. 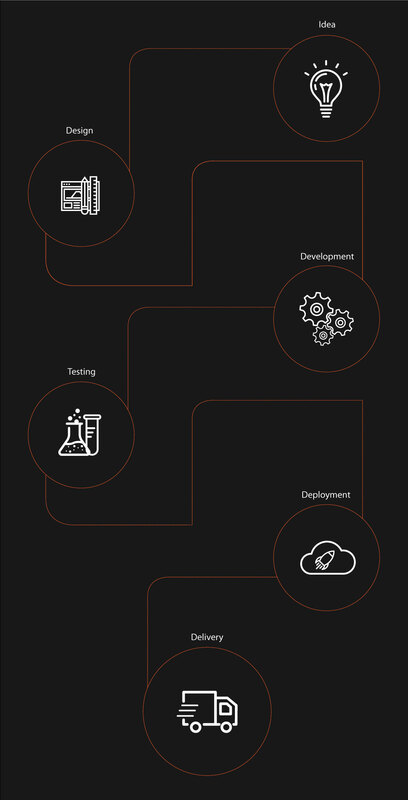 AlgoComputing handles Application and Infrastructure management with Continuous Integration, Deployment, Log Management, Monitoring and Provisioning. We offer 1st, 2nd and 3rd level support services for applications developed by AlgoComputing or by any third party vendor. Our end to end API integration solutions and services allow modern enterprise applications to be integrated with custom applications. Our software outsourcing services range from technology consulting and business analysis to QA, application maintenance and solution integration. Our integrated service lines have been shaped by nearly a decade of delivering value to our customers, and are built on a deep understanding of business needs and market trends, along with the technology expertise and software industry best practices. We are fully equipped to deliver first-class services that result in improved business efficiency, increased ROI cost-effectiveness, risk mitigation for our clients, not to speak of transparency and predictability that are guaranteed by default. We rely on our time-proven processes, tools and techniques to bring the highest level of quality to our growing range of services. Our domain expertise is backed by our phenomenal experience of successfully conceptualizing and delivering 200+ projects. ALGOCOMPUTING SOFTWARE AND SERVICES PVT. LTD.